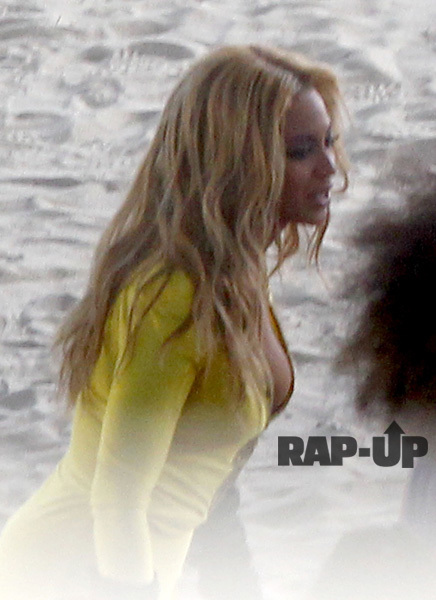 PamMichele: More photos from Beyoncé's new video shoot! The song (for the video) is reportedly titled "Girls (Who Run The World)" and can be heard HERE. Photos from earlier days in the shoot can be found HERE.